Austrian haulier Nothegger Transport has ordered 220 trucks from Scania with biodiesel engines which meet Euro 6 requirements and are designed for 100-percent biodiesel operation. This major order follows the introduction of Scania’s 13-litre 450 hp engine, which meets Euro 6 standard for biodiesel operation. Scania is now continuing its promised introduction of additional Euro 6-certified engines designed for 100-percent biodiesel. 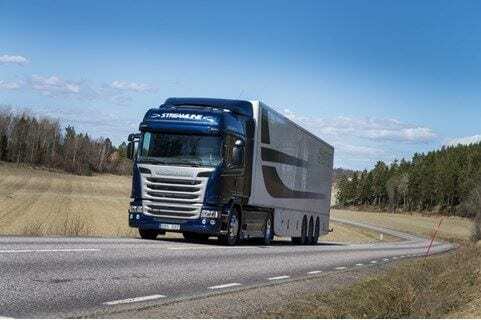 In October 2013, Scania intro­duced its robust 9-litre five-cylinder, biodiesel engine in two different output versions, 320 hp and 360 hp, and these are now being followed by the 13-litre engine that Nothegger has chosen. The 13-litre, inline six engines will be available both in 450 hp and 490 hp versions with SCR and EGR aftertreatment systems. Scania will continue to introduce additional biodiesel engines with more output levels and size categories.